A new analysis also found that the average daily toll paid in January was $12.37, Virginia transportation officials said Tuesday. Editor’s note: Virginia Gov. Ralph Northam takes your calls and questions live at 10 a.m. Wednesday on WTOP’s Ask the Governor. FAIRFAX, Va. — Both Interstate 66 tolls for solo drivers and expanded HOV hours have not slowed traffic on most major parallel routes during the morning rush hour, Virginia transportation officials said Tuesday. A new analysis — which found the average daily toll paid in January was $12.37 — also showed that even an increased number of cars on some roads like U.S. Route 50 did not significantly change travel times in January, compared with the same time a year earlier. “What we’re still seeing is the project is working as intended,” said Nick Donohue, Virginia’s deputy transportation secretary. The Virginia Department of Transportation will continue to analyze whether changing the tolling algorithm is warranted, though that could lower toll prices by lowering the minimum target speed at certain times, Donohue said. Other possibilities to improve drivers’ options could be speeding up construction of park and rides. Speeds on parallel routes, such as U.S. 50, U.S. Route 29 and Virginia Route 7, are largely unchanged from a year ago, Transportation Secretary Shannon Valentine said. The southbound George Washington Parkway in the morning rush hour saw a slight but significant increase in delays in January. In the afternoon, however, northbound speeds improved. The average speed on Interstate 66 over the entire four-hour period each way now covered by HOV or toll rules is now about 10 miles an hour faster than it was in January of last year. “When you see a toll that’s $40 or $44, what it’s really telling you is don’t get on, because it means the road is getting congested, this is not where you want to go, and so one of our major concerns was really looking at the arteries along 66 and were they going to be impacted, and they’re moving,” Valentine said. “Rides [on I-66] that were taking 25—30 minutes are now taking 10—12,” Valentine added. In an attempt to get that message out, VDOT has posted travel time information on overhead signs near the Vienna Metro station that indicate how long it would take to drive in on U.S. 50. For drivers from northern Fairfax or Loudoun County, Donohue said, the trip on the George Washington Parkway at 6 a.m. takes largely the same amount of time as the ride on I-66 at that time before tolling began because the highway would become clogged with drivers trying to get to work before the HOV restrictions began at 6:30 a.m.
“There are other alternatives in that earlier period that people can use that provide a substantially similar trip as 66 did before it was tolled,” Donohue said. Donohue justified the expanded tolling hours as a way to prevent I-66 from getting so backed up it could not recover. The average eastbound toll in the extended HOV hours (5:30-6:30 a.m.) is $2.95, he said. Around 13,000 drivers are using the road eastbound each morning, and more than 15,000 drivers are using the road westbound each afternoon. Forty-three percent of the trips were vehicles with an E-ZPass Flex switched to HOV mode to indicate that they have at least one other person in the car. Forty-four percent of drivers paid the toll with an E-ZPass. Thirteen percent of drivers did not have an E-ZPass, so they received toll violation notices in the mail. The average morning toll paid in January was $8.07, while the average afternoon toll paid was $4.30. When analyzing only those drivers who paid to use the entire corridor from the Beltway to Rosslyn each way, the average round trip price was $18.06. In January, 461 drivers paid $40 or more. Virginia does not yet have hard data on the precise number of people moving through the corridor today as compared with a year ago, but Donohue believes the number is likely up, and at higher speeds. A number of slug lines have been set up to increase carpooling, and new I-66 slugging spots will be set up at the Pentagon as part of parking lot changes tied to a toll lane conversion on I-395. An increase in carpooling could become even more important with construction ramping up next month on new I-66 toll lanes between the Beltway and Gainesville. Donohue did not dismiss out of hand a House of Delegates budget amendment that would require the state to implement the rush-hour tolls in both directions by 2020. Those tolls and brand-new HOV requirements were included in the original plans for the project a few years ago, before being cut over public complaints. 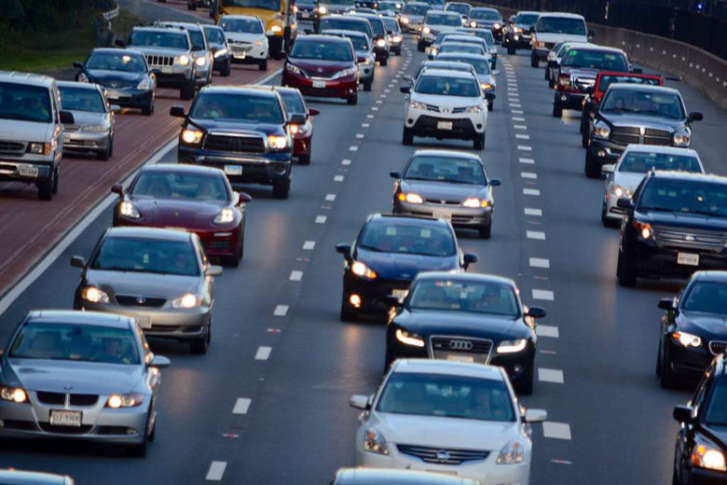 “I can speak to sitting in a lot of traffic eastbound on I-66 in the evenings there, so there is certainly a traffic need that could be addressed with this, but we are still evaluating any of these proposals,” Donohue said. The administration only saw the budget amendment when it emerged from the House Appropriations Committee Sunday. Valentine warned that any specific changes, rather than suggested reviews, mandated by lawmakers could make further tolling adjustments difficult if there are unintended consequences.